Grass trichome and stomata, coloured scanning electron micrograph (SEM). Trichomes (one at centre) are specialised structures that may perform several functions, such as preventing water loss or deterring animals from eating the plant. 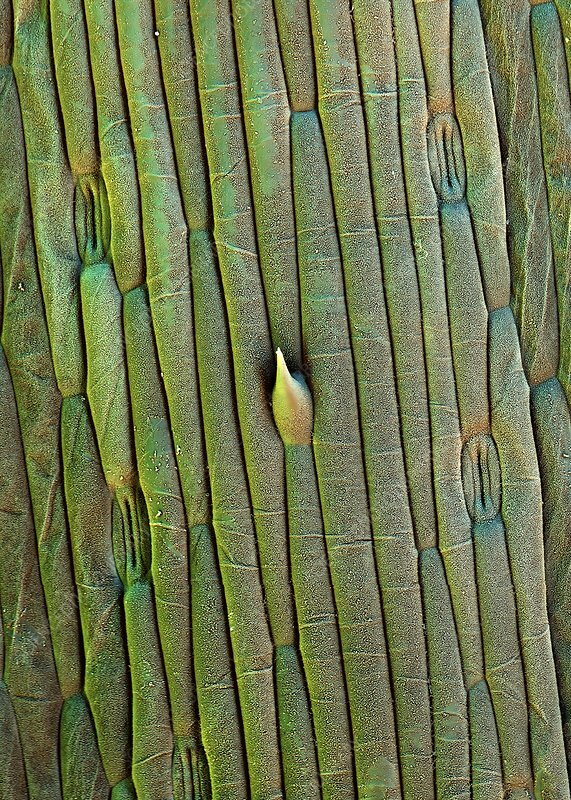 Stomata (oval openings) are gas exchange pores found in the epidermis of plant leaves and stems.